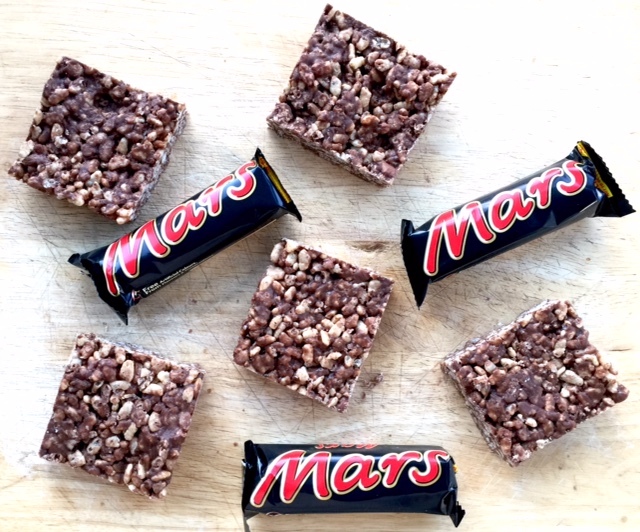 I’ve been baking again, this time I made Mars Bar Crispy Cakes…my favourite. But this time they are slightly different to how I normally make them, that is because the chocolate I was melting to go on the top overheated and stiffened. When this happens the chocolate is unusable the majority of the time; I searched online for help but none of the little tricks worked for me. I wanted to scrap it and try again the next day, but then I decided to still do a post because it shows everyone makes mistakes in the kitchen and blogger bakes don’t always turn out perfect. 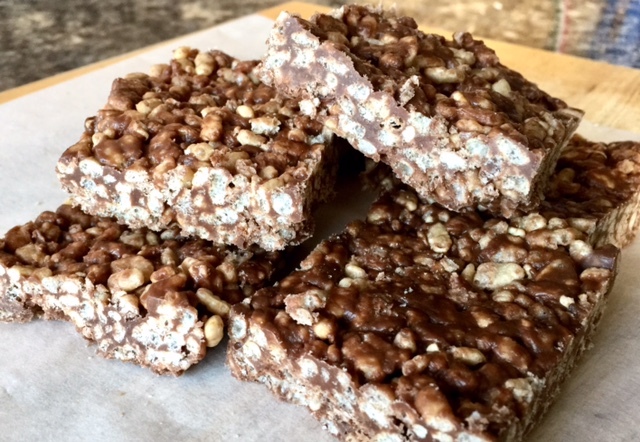 Mars Bar cakes are basically melted mars bars, rice crispies and chocolate mixed together with a layer of melted chocolate on top. I never really follow recipes down to the tee, and with this one I normally just do what works. So if I feel like it needs more chocolate ill add more, or if it seems like to may rice crispies I will use less. A recipe I use for the rough guidelines is online on the all recipes page. 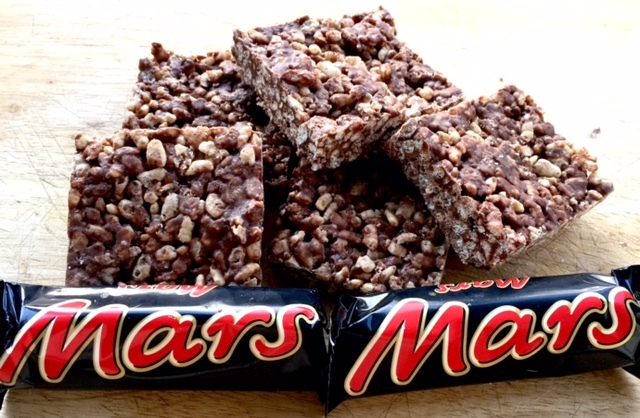 You melt the butter, mars bars, golden syrup and some of the chocolate in either the microwave or in a bowl over a hot pan. 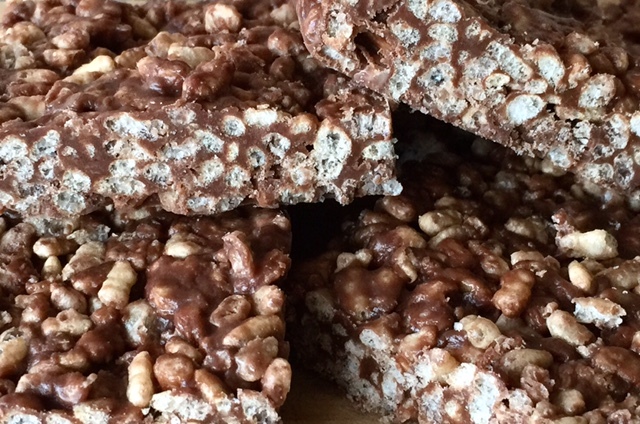 Pour this gooey mixture over the rice crispies and mix until there all covered. This then needs to go in a square tin, preferably with some cooking parchment placed inside. I use the back of a spoon and push down on the mixture to compact it into the tin, then pop it in the fridge whilst you do the next part. Now this is where it went very wrong for me, because the chocolate I was melting for the top decided to turn into more of a thick paste. This normally happens when it overheats, which is easy to do especially for me. But if you’re a pro chocolate melter then melt the rest of the chocolate and pour it all over the rice crispie mixture. Pop it back in the fridge and wait for it to set, I normally leave it overnight. Then the best part is the last bit, eating them. Enjoy. One of my favourites to make ?